Ever since my future in-laws got us the VitaMix (a blender so powerful that it can actually warm soup with the speed of its blades), I’ve been drinking smoothies every single morning for breakfast. I found this great and easy recipe for a Fresh Fruit smoothie online and love switching up the fruit to whatever is in season, on sale, or about to go bad in my fridge! Plus, the added coconut oil gives it a thicker consistency and a little extra energy. If you don’t like the taste of eating an avocado, try it anyway. You will not know it’s there. Place all ingredients in the blender and blend until smooth. 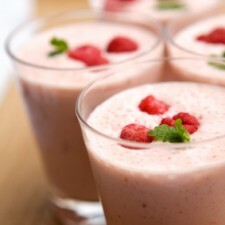 If smoothie is thick, add more milk until it’s the consistency you prefer. 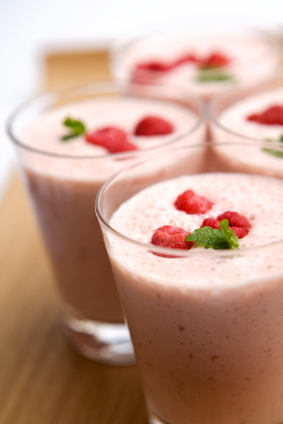 Place leftover smoothie in the refrigerator to enjoy later.